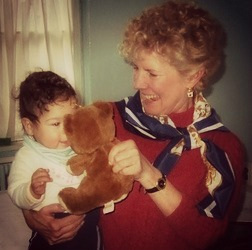 In 2001, Janis M. Calos volunteered for 2 weeks at an orphanage for infants in Brasov, Romania and so began her interest in the plight of abandoned children the world over. In 2003, she sold her home and all of her possessions to establish Casa Mea. She then left family and friends and moved to Romania. She lived there with the children for 7 years. Prior to establishing Casa Mea, she worked as a registered nurse and as a pediatric nurse practitioner for 16 years before obtaining her law degree. As a lawyer, for 13 years she represented victims of medical malpractice. Many children in the world do not have a place they can call home. Children are abandoned at birth and others are orphaned due to AIDS or violence. They may live on the streets or in large under staffed state run orphanages. Casa Mea believes that all children deserve a place they can call home. All children deserve a home that is safe, loving, and nurturing. A place where they feel loved and wanted. “Countless commentators have said that the most important thing we can do to improve the world is to save the children. The welfare of our children is one of society's most important concerns. Children are our future. The proper raising and rearing of our youngest members determines the course of tomorrow. Ensuring the physical, emotional, and social welfare of the youngest among us is essential.” The Honorable David J. Hickton (April 8, 2011). Casa Mea is currently providing several orphaned and abandoned children with a loving home. Thank you for supporting the children, our mission, and making a positive difference in this world.